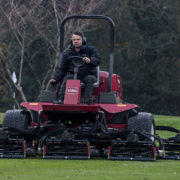 Toro Instrumental For Golf Course Reinvention: Toro machinery has been instrumental in the reinvention of two municipal golf clubs located in the South Liverpool and Merseyside areas. Managed by golf operators Green Circles Estates, there has been a heavy investment in the vision to create two venues providing accessible, affordable golf for all. As a result, Allerton Manor Golf Club in South Liverpool and Sherdley Park Golf Course in St Helens, Merseyside have both undergone significant transformations in recent years. When Green Circle Estates became the Operating Partner with Liverpool City Council in 2015 for Allerton Manor Golf Course, it was an easy decision to purchase a fleet of Toro machinery to maintain the greens. 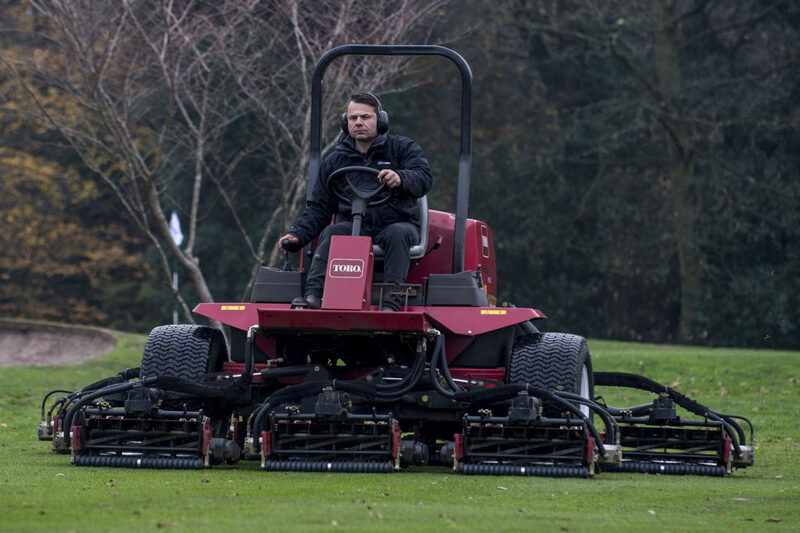 Confidence in Toro was confirmed when Green Circle Estates became the Operating Partner of St Helens Council in May 2018 for Sherdley Park Golf Course and additional Toro machinery was purchased. Significant investment has gone into the leisure facilities at Allerton Manor Golf Club, there is The Old Stables Restaurant, The Hay Loft Function Room and Fletcher’s Bar. There are plans in place for a new clubhouse at Sherdley Park Golf Course and both have benefitted from substantial investment to the golf courses. The fleet deal includes the Reelmaster 3100-D, two Greensmaster 1600 and two Greensmaster 1000 pedestrian mowers, a Greensmaster TriFlex 3400, a Reelmaster 5510-D, Groundsmaster 3500-D and two Groundsmaster 4000-D machines. These are joined by two aerators in the ProCore 648 and SR48, the ProPass 200 topdresser, two Workman HDX utility vehicles, a debris blower 600 and a TYM T353 compact tractor, all supplied by dealer Cheshire Turf Machinery and Reesink Turfcare, a UK distributor of Toro and TYM Tractors. Allerton Manor Golf Club is the first municipal pay and play golf course in the UK to undergo this kind of high-level refurbishment. Alongside the work being done to reinvent the Manor House and put the newly refurbished leisure and dining facilities on the South Liverpool map, are plans for lengthening the par 67 18-hole course to a par 72 Championship course. The next course operated by Green Circle Estates to benefit from similar refurbishment is Sherdley Park Golf Course. Aiding the large-scale improvement works there are a new Reelmaster 6700-D fairway mower, Groundsmaster 4000-D for cutting roughs and surrounds, Greensmaster TriFlex 3400 for pristine tees and greens and the durable Workman HDX utility vehicle. Partnering with Green Circle has enabled Liverpool City Council and St Helen’s Council to bring to an end to the uncertainty over the sites’ futures, breathing life back into the community surrounding each and creating leisure resorts and golfing facilities for all to access and enjoy. There are exciting future plans for both clubs, both on and off the course and Toro will play a key part in on-course developments across the Green Circle Estates portfolio.